Add the fine sea salt to the flour yeast mixture and mix together. Knead for 10 minutes adding as much air as possible until the dough becomes smooth. Don’t be tempted to add extra flour. When the dough feels smooth and silky you know its ready. Lightly flour the bowl. Add the kneaded dough. Cover with a clean tea towel ready for the first rise and leave for 1 hr. The dough can be placed into the fridge overnight to allow a slower rise and for the flavour to develop. Once the dough has doubled in size scrape the dough carefully onto a lightly floured surface. Carefully fold the dough over, pressing to form a seam. Cut into 3 equal pieces and form into round dough balls. Leave under a Tea-towel for 10 minutes to rest. Shape into authentic round pizza shapes. Sprinkle semolina onto a peel and add a dough disc. Place the topping of your choice on to the pizza. Sprinkle on the grated mozzarella cheese. Add a few drops of the finest virgin olive oil. 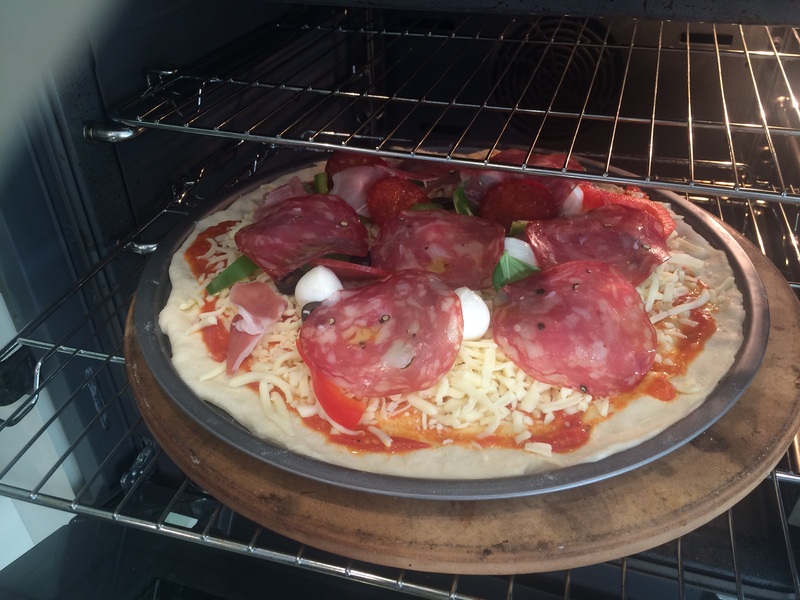 Bake on a pre heated hot pizza stone at 220c for 15/20 mins or until crispy and golden.